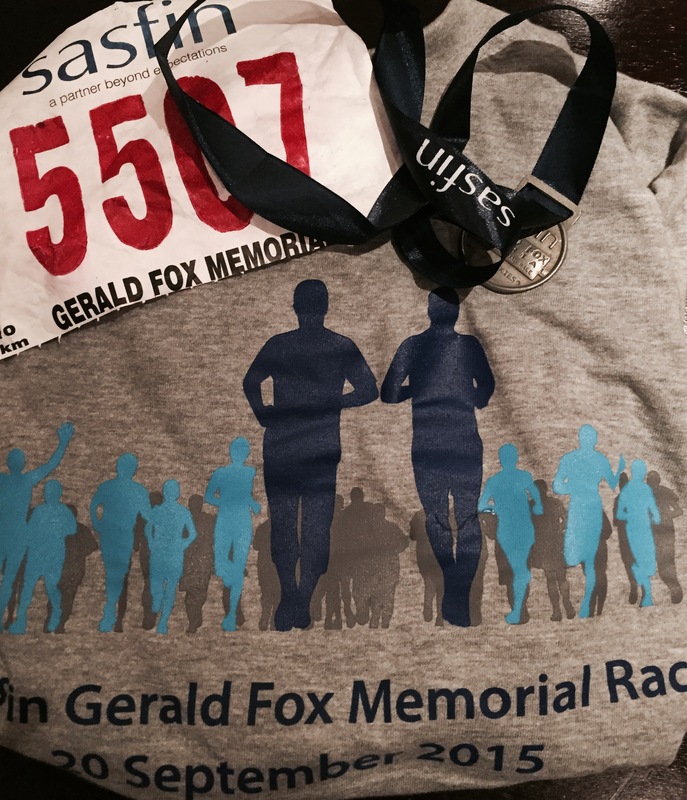 I realized today just how much I have improved as a runner when I compare the time I ran the Sasfin Gerald Fox 10km race with my previous years’ finishing times. I ran today as well as last year’s race with a fellow Running Junkie runner, Tamryn. I must admit, it definitely helps running with someone, especially someone faster than what I am and this is what helped me push the pace today. Me, coming into that home stretch, passing the big elephant and seeing the finish line – hence the big smile! We ran the downhills as fast as we could! We kept our walking breaks short. We killed it on that last 2kms, knowing we were done! All of it helped. 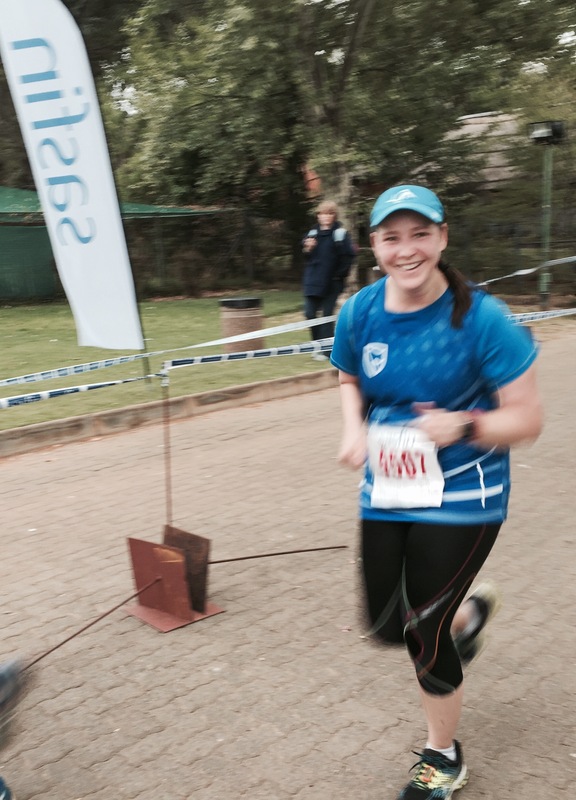 Gerald Fox was Tamryn’s first Jozi race last year and she was keen to go back. There’s something special about returning to run your first race as a runner. This particular race is always well-organised and the bonus is the long-sleeved t-shirts at the finish! Even though the route measured an extra 220m (which was a killer mentally! ), considering the difficulty of this route is classified as a 4, I’m quite chuffed with myself. See you next year Tam? This entry was posted in My Races and tagged 10km road race, Sasfin Gerald Fox, Sasfin Gerald Fox 10km by Bo. Bookmark the permalink. You still up for that 2:40 at Komatsu? It will take two 1:15 splits to leave 10min for the last 1,1km. I’m definitely thinking about it!!! Can I get back to you? I enjoyed the race today, it was the first time I’d done it. Next year I’ll try for the 21. I definitely felt stronger and with that awesome cool weather, the run was fun! Glad your ITB is better!